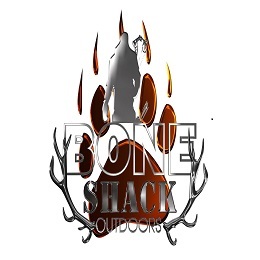 Bone Shack Outdoors is about hunting ethically and 100% fair chase. Our pro-staff is made up with hunters that have a passion for the great outdoors and the utmost respect for the animals we harvest. God, family, hunting, and friends is what we are about. We are parents, business men, coaches and volunteers that have our priorities in line. We love the outdoors and our mission is to show everyone that you can work full time, be a true family man, volunteer in your communities and still have time to be a successful hunter. Just like you we are weekend warriors that understand the struggle of balancing our busy schedules and sneaking in time to hunt when we can find it and make it work. It isn’t uncommon for us to clock out of work on a Friday evening, jump in the vehicle and tackle an 8-10 hour drive to get to our next hunting spot. The majority of our adventures are do it yourself hunts where our staff is out searching for new hunting leases, scouting public ground, hanging our own stands, planting food plots and working as hard as we can to improve our success rates. We are excited to share our experiences in the field with you and we appreciate your support of our show. Bone Shack Outdoors understands that we can only do what we do and bring you these experiences thanks for the amazing men and women in our arm forces that fight each and every day to keep us free. God truly has blessed us and we are forever grateful. Joey was born and raised in the small town of Kirby, WV. He is a proud Christian, family man, coach, businessman and of course a hunter. Joey works full time as a Logistics manager for a cabinet company in Winchester, Va. Like many of you, he has a very busy schedule but when he is able to sneak away for some free time, you will find him in a tree stand pursuing his passion of hunting. Joey has always enjoyed spending time in God’s creation and hunting mature animals (especially whitetails). Hunting provides him a gateway to fuel his competitive spirit and allows him to spend valuable time with family and friends. Dream big, pray big and hunt hard!